A view of the Monetary Authority of Singapore (MAS) building in the downtown financial district in Singapore. 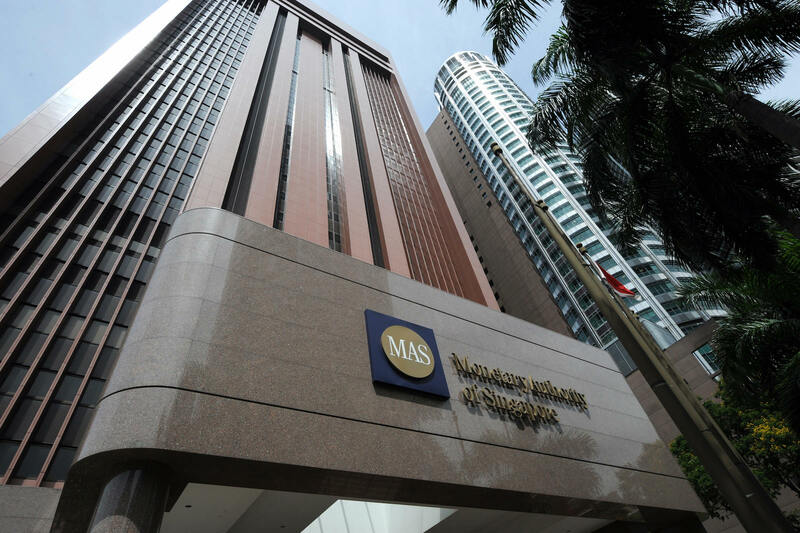 MAS has managed to provide a regulatory framework to support the sustainable growth of the P2P industry, while safeguarding the interests of the industry’s stakeholders. This is the fifth article in a special series focusing on topics related to fintech. In 2015, China had 2,595 operating P2P platforms, with around SG$203 billion ($147 billion) in annual traded volume. 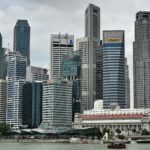 This trend quickly spread to ASEAN countries, and by 2016, five P2P platforms were already operating in Singapore, the financial hub of the region. Three of these platforms have successfully financed more than SG$10 million for local small businesses, even in their early years. Malaysia recently updated financial guidelines to work with P2P lenders, and Thailand put up a consultation paper in March of 2018. 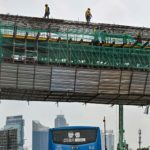 In Indonesia, around 30 P2P platforms have extended 2.6 trillion rupiah (approximately SG$235 million) in loans as of 2018. 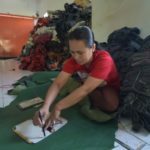 While small compared to the size of the overall loans market, it has been identified as a viable solution to addressing a major financial gap in the underbanked country (only one in three adults in Indonesia have access to a bank account, and most agricultural businesses have no access to bank loans). 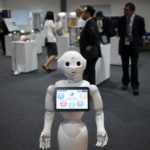 It is evident that most ASEAN governments acknowledge fintech—including P2P lending—as a key solution to our heavily underbanked region. A prime example would be the P2P lending crisis in China. China has a sizeable shadow-banking ecosystem, amounting to an estimated SG$13.7 trillion. P2P lending, along with some similar Internet financing schemes, accounts for a significant 9 percent of this sector. Currently, the industry size is larger than the rest of the world’s P2P industries combined, with total outstanding P2P loans in the country now estimated at SG$300 billion. In June 2018, China saw a P2P crisis following its attempts to defuse debt bubbles and reduce shadow-banking risks. The resulting policies—imposing 10 measures to curb risks in the P2P sector—saw investors hurriedly pull funds from such platforms, and around 243 P2P platforms shut down as a result. This resulted in wide-scale protests, as some P2P investors faced complete loss of their capital. However, the move had been precipitated by a number of questionable loans—and sometimes outright scams—that were beginning to plague the country’s P2P industry. By the end of 2015, around a quarter of all Chinese P2P platforms were facing financial issues. Chinese media also reported on a number of Ponzi schemes, in which dubious P2P platforms drew in investors with bonuses for referring family and friends. While tightened regulations are a necessary step toward a healthier P2P industry, the recent attempts in implementing multiple new policies in a relatively short time, coupled with previously unresolved regulations, have worsened the crisis for both investors and borrowers. Ideally, regulations and practices should evolve and adapt alongside any growing P2P industry, and more importantly, corrective measures must be taken progressively in stages before a major event comes in full force. The simplest step P2P lenders can take is to use escrow accounts. This ensures that a neutral third party manages investor monies and oversees the transfer of funds from investors to borrowing businesses and mitigates the risk of a P2P provider absconding with their money. It is vital that control measures do not become too rigid and P2P platforms continue to be an attractive option for both investors and borrowers. For example, at Validus Capital, investor funds are never kept in our own corporate accounts. Instead, the funds are ring-fenced in an escrow account managed by a third party (Vistra), which is regulated by the Monetary Authority of Singapore (MAS). A second layer of assurance can come from collaboration with recognized credit ratings providers. It is preferable that P2P providers do not establish risk ratings based purely on internal standards, as this does little to dissuade investors of the potential for bias, especially in the early stages of a platform’s existence. Most countries have local credit bureaus that can competently assess the financial health of local businesses. P2P platforms could also leverage partnerships with data providers to enable accurate credit risk assessments. In some ASEAN countries, regulators are already making some of these measures obligatory. Singapore, for example, requires that escrow accounts be used by P2P lenders. However, P2P providers should consider taking these steps on their own initiative, regardless of the regulatory environment. Self-imposed best practices could go a long way in building trust. In addition, it is crucial for P2P platforms to play an active role in educating and socializing the P2P lending solution to both borrowers and investors on how it can address the credit gap for SMEs and how investors could directly support the growth of SMEs and the economy. Regulators face a tough balancing act between over-regulating and, hence, stifling P2P platforms and at the same time preventing scams or improper lending. 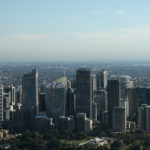 Regulators could consider accreditation for lenders. For example, in Singapore, lenders on P2P platforms must be accredited investors—this is strictly defined as individuals with a net worth of at least SG$2 million or an income of at least SG$300,000 in the past 12 months. This ensures P2P investors do not take risks beyond their actual capacity and that they avoid situations that may adversely impact them, where their funds could be potentially wiped out. It is important that P2P platforms are transparent and open about the risks involved. Lending to small businesses should constitute the high-risk portion of a balanced portfolio and may not be right for every investor. Anti-money laundering and the related know-your-customer regulations should be an imposed standard. At the simplest level, P2P platforms must be made to verify the identity of the borrower or investor, such as through passports, drivers’ licenses, or a government-issued ID. This is especially important given the nature of P2P transactions, which happen online and without direct face-to-face contact. At the same time, it is vital that control measures do not become too rigid and P2P platforms continue to be an attractive option for both investors and borrowers. In Singapore, MAS has managed to provide a healthy regulatory framework to support the sustainable growth of the industry while safeguarding the interests of all the industry’s stakeholders. All P2P platforms are regulated by MAS and need to obtain a Capital Markets Services license. To further accelerate financial inclusion, it has launched a cross-border, open-architecture platform, API Exchange, which will enable collaboration with other financial institutions and fintech companies across Southeast Asia. This is a positive step in the right direction to help accelerate the growth of the burgeoning P2P lending industry in Southeast Asia and opens up a myriad of opportunities for the industry. For the P2P lending industry in Southeast Asia to continue its growth trajectory, the focus should be on ensuring that the ecosystem is sustainable with the necessary safeguards put into place. The lessons learned following China’s P2P lending crisis will help regulators in Southeast Asia avoid making the same mistakes and ensure the P2P lending industry remains a level playing field while preventing malpractices in the industry. 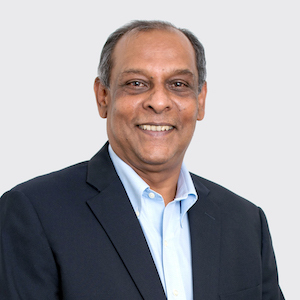 With over 30 years’ experience in SME banking, Mr. Raikar has held senior management roles across leading financial institutions such as DBS Bank, Citibank, Fullerton Financial Holdings and Bank Danamon. His knowledge and expertise in the field of SME financing spans multi-geography exposure to banking verticals for coverage as well as risk. At Citibank, Mr. Raikar pioneered its SME banking concept—building a robust SME franchise from scratch that was replicated across Citibank globally.